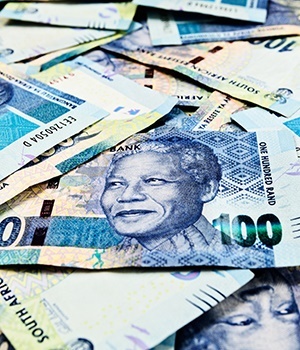 The rand continued its substantial see-saw swings against the dollar on Thursday, first firming by 1.6% and then again weakening to trade roughly even by the early afternoon. The rand opened the day’s trade at R14.56/$ and rapidly firmed to R14.32/$ before weakening. And analyst say the period of sharp fluctuations are not over. “We expect large swings in the exchange rate with a wide range of R14.25/$ to R14.69 [On Thursday],” said Bianca Botes of Peregrine Treasury Solutions in a morning note. The actual trading range for Thursday thus far is R14.32 - R14.63. The local currency has been battered in recent days by broad emerging market weakness, falling from R13.32/$ on August 8 to trade at R14.52 to the greenback by 13:21 on Thursday afternoon. The rand’s steep decline, according to analysts, has been strongly tied to the free-fall in the Turkish lira as that country remains locked in a trade tariff dispute with the US. But on Wednesday, as the lira firmed, the rand continued to slide - at one stage losing as much as 3% of its value. “[Wednesday] was a strange day for the rand when comparing it to other emerging market peers,” said Andre Botha, Senior Currency Dealer at TreasuryONE in a morning note. Botha ascribed Wednesday's slide to two factors. First, a report by global ratings agency Moody's that the pace of the SA fiscal consolidation will be slower than forecast, due to lower expected economic growth and rising government wage bill. The second factor was continuing uncertainty about how the state’s proposed land redistribution plan – which includes expropriation without compensation - will work. Botha said however the fall on Wednesday was likely exaggerated, and the rand could strengthen. * Update: This articles headline was updated at 14:40 on Thursday August 16 to change it from "Volatile rand continues to see-saw around the R14.40/$-level" to "Volatile rand continues to see-saw around the R14.50/$-level".